"A very enjoyable stay. Very peaceful and beautiful countryside." "Our second visit and just as brilliant as last time." 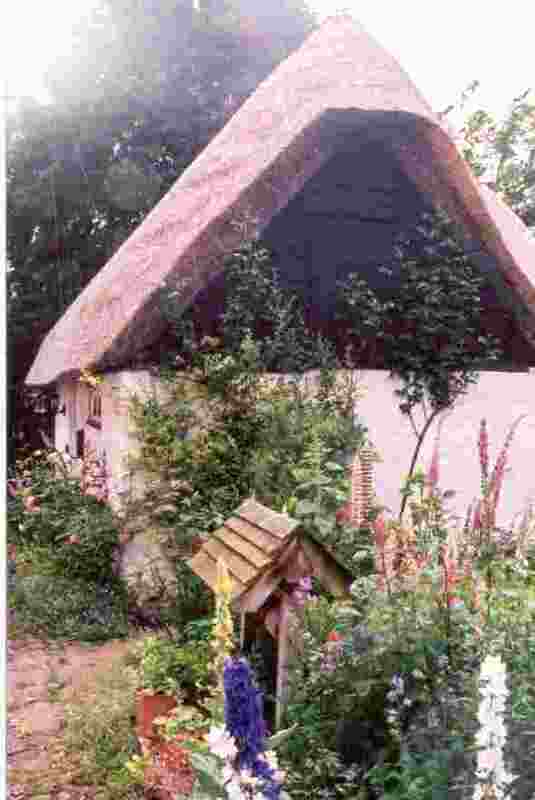 "The cottage is beautiful and so cosy". 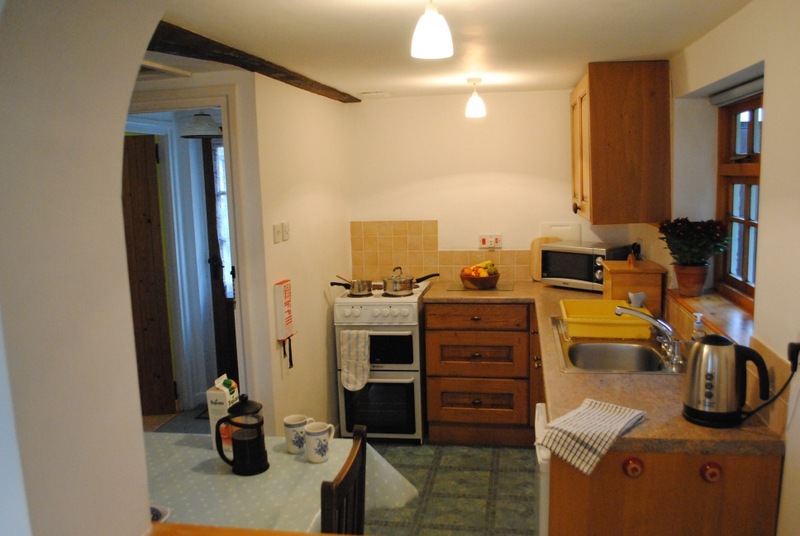 "A relaxing weekend in a well-equipped cottage." 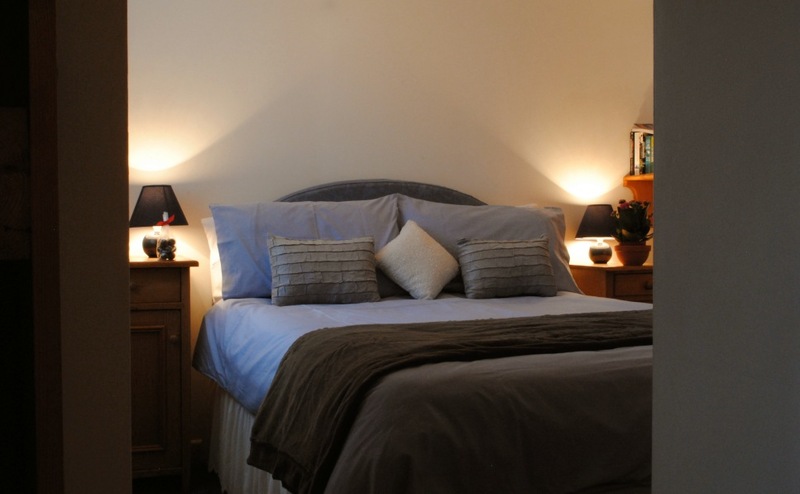 "Great location - secluded yet plenty of great things to see and do in accessible locations. The cottage is a credit to your good taste." 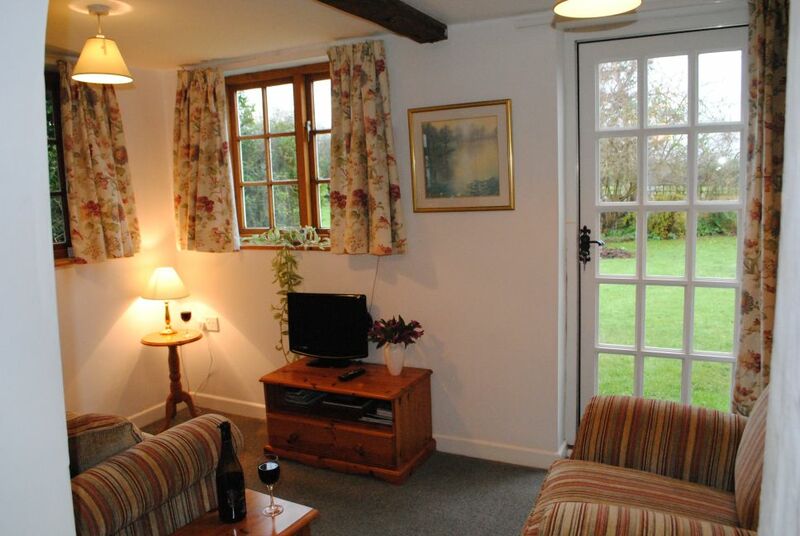 "Lovely, quiet, cosy cottage - warm welcome and peace. Lots to do in the area - an ideal location. Highly recommended!!" New high-quality seating with a view into the garden and countryside. Digital TV (Freeview) with DVD player, CD player and DAB radio. Small DVD, CD and book library. Games and puzzles. Free broadband internet, accessed by WiFi. The solid oak kitchen is well-equipped with good quality utensils and everything you need to cook most meals and for baking. 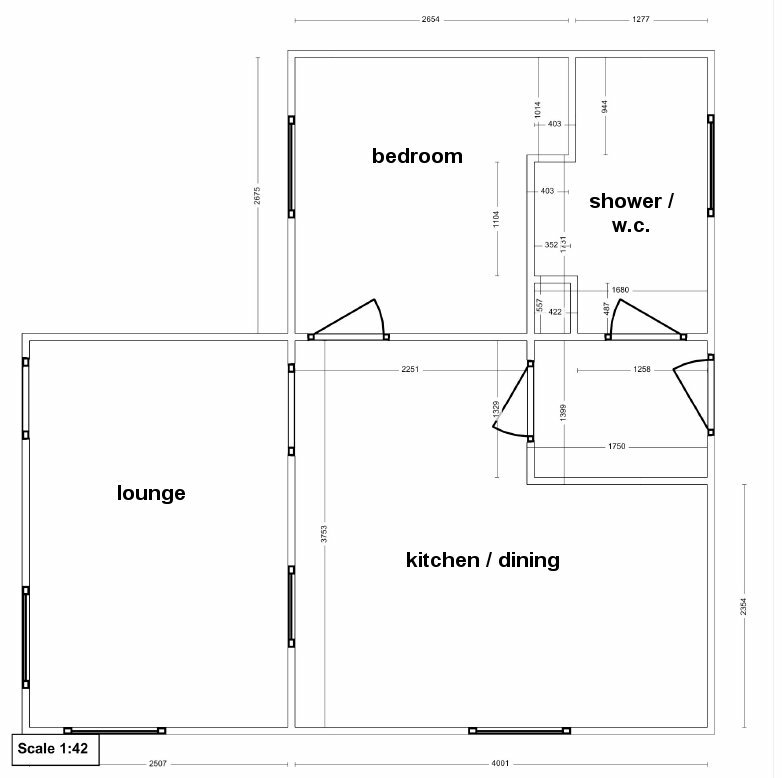 Electric cooking, microwave, fridge with small freezer compartment. All maintained to a high standard of cleanliness. Compact but cosy. The room has a built-in double wardrobe. Steam iron and ironing board. International to UK socket adaptors. 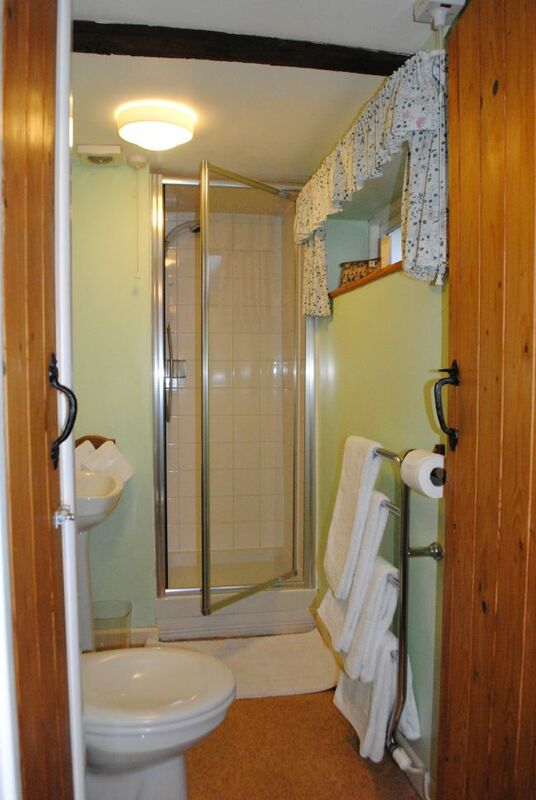 Cottage-style shower room. Homely and clean. Heated towel rail with fluffy white towels. Visitors usually have sole use of the shared garden as the owners are usually out. The cottage has its own garden furniture in a secluded area by the stream which runs alongside the cottage. Private off-street parking for one car. A welcome tray is provided so that you can put your feet up as soon as you arrive. The cost of all fuel, power and WiFi is included. Efficient programmable heating which visitors control. We have your safety in mind with smoke alarms, fire extinguishers, electrical testing and periodic risk assessments. Pets and smoking are not permitted. Sleeps a maximum of two.